Ballina Campervans, Motorhomes & Caravans (BCMC) is the 2015 Business of the Year and the only retailer in Australia focused solely on the sales and support of a comprehensive range of built-in Motorhomes and Campervans. However, this did not happen overnight. Business started in 1988 in Ballina, Northern Rivers, NSW as a Recreational Vehicle manufacturer and retailer. At this time we were known as ‘Ballina Motor Village’. Since this date the scale of the business has grown considerably to include two key business units covering retail and manufacturing. Along with this came the name upgrade to Ballina Campervan & Leisure Centre. As the Horizon Motorhomes brand gained market acceptance, it was timely to reposition the business as Ballina Campervans, Motorhomes & Caravans. 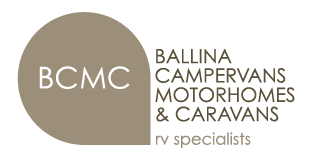 Ballina Campervans, Motorhomes & Caravans (BCMC) focus is reflected in the ethos of ‘Satisfaction Built In’. Built-in Motorhomes and Campervans (ie mobile homes constructed within the vehicle’s shell) are what we sell, but satisfaction is the goal we have for our customers and vehicles. We specialise so that we can excel! Horizon Motorhomes the 2015 Manufacturer of the Year is owned by the same owners as BCMC and also based in Ballina, Northern Rivers area of NSW. Horizon manufactures 9 different motorhome models using Fiat Ducato and Mercedes Benz base vehicles, along with several 4 wheel drive options. The models are constantly being enhanced, developed and tested in line with customer expectations and demands. Frontline Campervans was founded in 1987 and is still operated by its Australian founders. 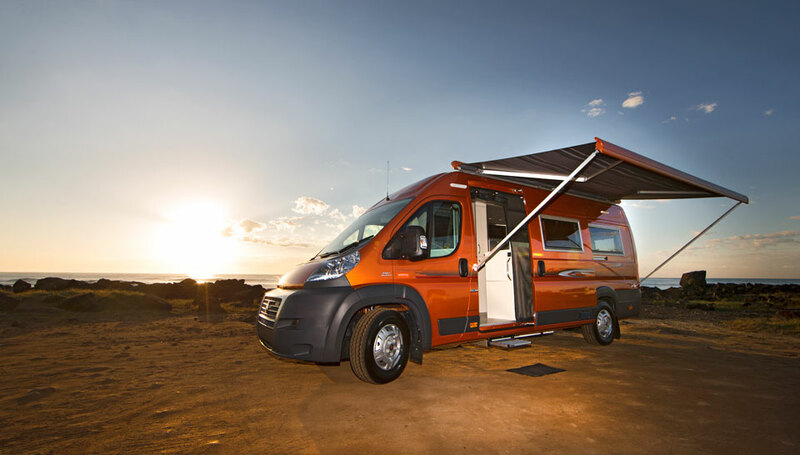 Frontline has developed an Australia wide reputation for building high quality campervans at affordable prices. BCMC has been the sole distributors from North of Newcastle through to cover all of Queensland since 1990. It represents the first built in Recreational vehicle available through BCMC. Do you picture yourself hooking up and driving off on your own adventures? A Millard Caravan is the perfect choice for those wishing to tow, whether on a holiday or longer touring adventure. Sporting a range of styles and layouts from pop tops, off road and slide ons, every Millard offers comfort, great storage and plenty of ​style. BCMC are proud to be the exclusive retailer of Millard Caravans from Coffs Harbour to the Tweed Coast, offered alongside our exclusive current brands of Horizon Motorhomes​ and Frontline Campervans (north of Newcastle). Accessories and optional add-ons provide a great way to personalise a campervan or motorhome. Solar power, for example, is an obvious choice for someone looking to ‘free camp’. Other enhancements include Air conditioning, full door opening fly screens or towing solutions to name just a few. All motorhomes and campervans need maintaining – BCMC’s Annual RV Check-Up provides an overall health check for all key aspects of your Horizon Motorhome, Frontline Campervan or Caravans. With the benefit of being a built-in specialist we also stock (or can order in) a leading range of relevant components and spare parts from leading brands such as: Fiamma, Waeco, and Dometic. See our Service Centre page for more.